Oklahoma Connection | Monroney was born and raised in Oklahoma City, Oklahoma. As a young aviation editor for Oklahoma News, Mike Monroney covered the historic Paris flight of Charles Lindbergh on his homecoming at Lambert Field in St. Louis, Missouri. When he asked Lindbergh about the possibility of commercial trans-ocean air service, he was told that it was many, many years away. Monroney was also a passenger on the first civil aircraft in Oklahoma, a flight from New York to Oklahoma City that took three days, with the pilot often landing in pastures to refuel. Mike Monroney was born and raised in Oklahoma City and graduated from the University of Oklahoma in 1924. He served as a reporter and aviation editor with Scripps Howard in Oklahoma City until 1928 when he went to work in his family’s furniture business, Doc & Bill’s, for the next ten years. 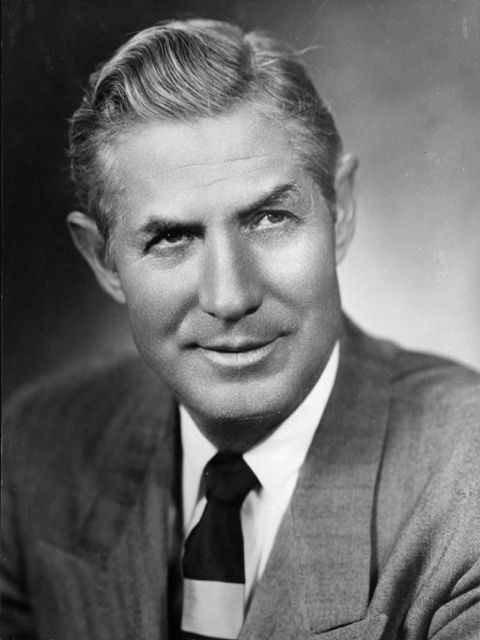 His celebrated political career began as he represented Oklahoma first in the U.S. House (1939-1951) and then in the U.S. Senate until his defeat in 1968. Monroney, author of the Federal Aviation Act of 1958, is generally credited as the father of the Federal Aviation Agency (FAA) and Oklahoma City’s FAA Center was officially renamed in his honor in 1978. See pictures of Almer S. Monroney and other media HERE.